For the past eight years, the FlyerTalk Awards have underscored Hertz's legacy of speed, innovation, and service. 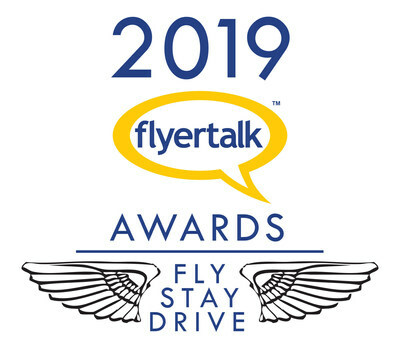 For the eighth consecutive year, the Hertz Gold Plus Rewards program swept the 2019 FlyerTalk Awards, consumer-selected awards for travel loyalty programs, in the Drive category across the Americas, Europe/Africa, and Middle East/Asia/Oceana. FlyerTalk also recognized Hertz Gold Plus Rewards for Outstanding Benefit for the following member benefits: Hertz Ultimate Choice (Americas), Five Star and President's Circle (Europe/Africa), and Platinum Elite service (Middle East/Asia/Oceana). The FlyerTalk Awards are determined by FlyerTalk, an online community of more than 700,000 frequent travelers. FlyerTalk members share elite-level knowledge of airline, hotel, and car rental affinity programs, voting once a year for the best ones within the Fly, Stay, and Drive categories. For the past eight years, the FlyerTalk Awards have underscored Hertz's legacy of speed, innovation, and service. Hertz is committed to enhancing the entire customer experience getting travelers on their way quickly in the car that's right for them. Members can quickly reserve a car on Hertz.com or the Hertz mobile app, skip the line, choose from a variety of vehicles, and enjoy faster checkout and returns.